Discussion in 'Guitar Emporium Archive' started by bdonnelly, Apr 21, 2016. 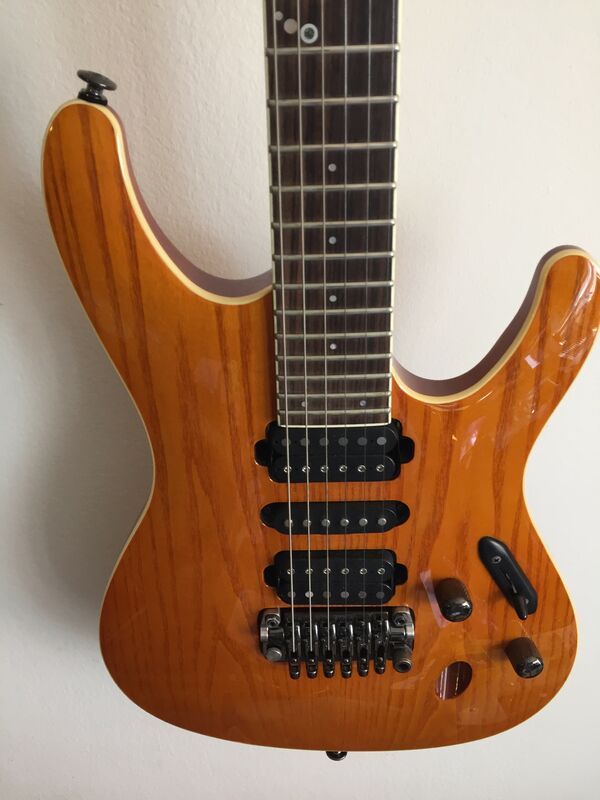 Excellent condition made in Japan prestige line Ibanez SV5470 available. One owner, kept in case in smoke free studio, never gigged. No nicks, dings or scratches. No fret wear. All original pickups, hardware. 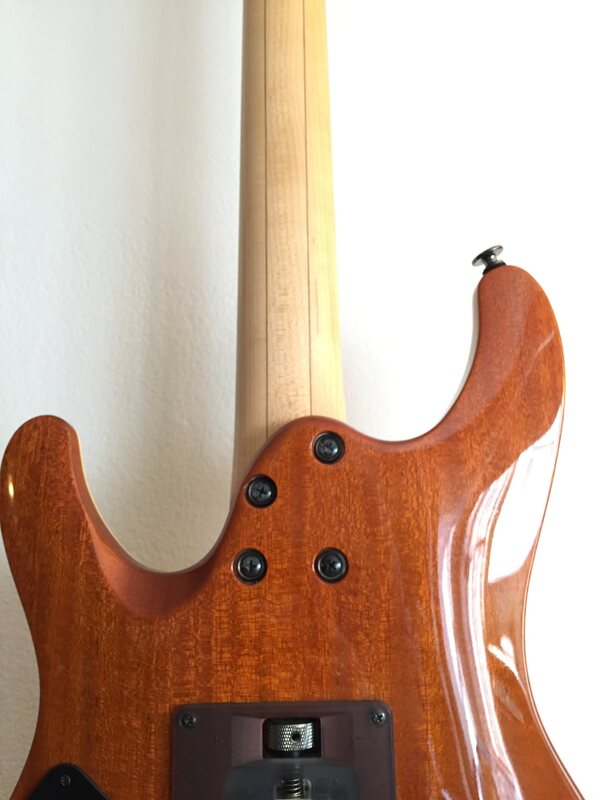 The SV5470 is a mahagony body with ash top S series guitar with an edge bound Wizard prestige neck. 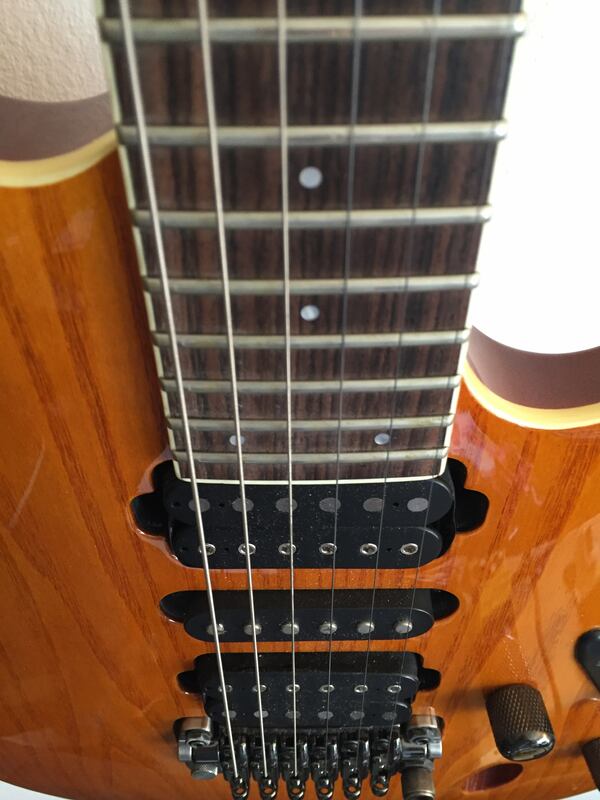 (the SV was for "S Vintage") Pearloid dot markers and the three moon design at the 12th fret. Features one of the best bridges Ibanez ever made - the SynchroniZR bridge. It can float or you can lock it down with a quick turn of the thumbscrew on the back. 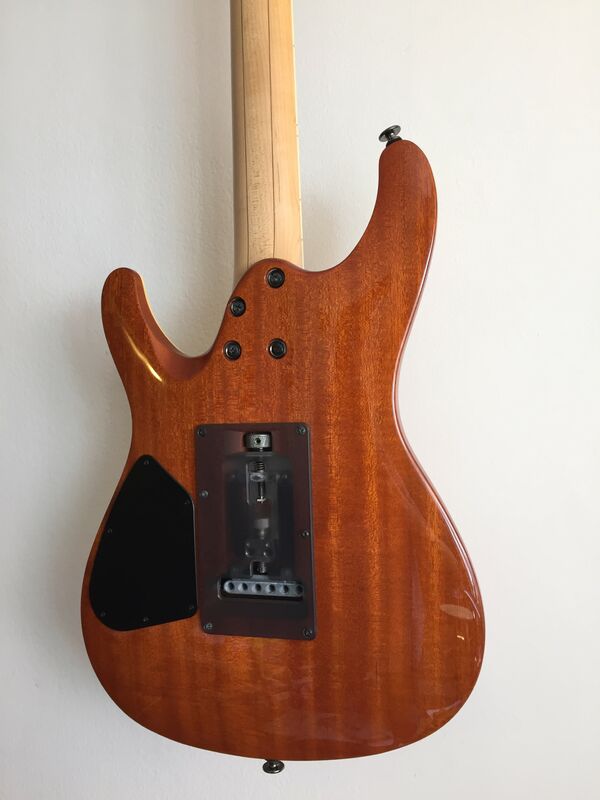 There is a push-pull pot to split the humbuckers to get modern Strat-like tones. A killer guitar in mint condition. 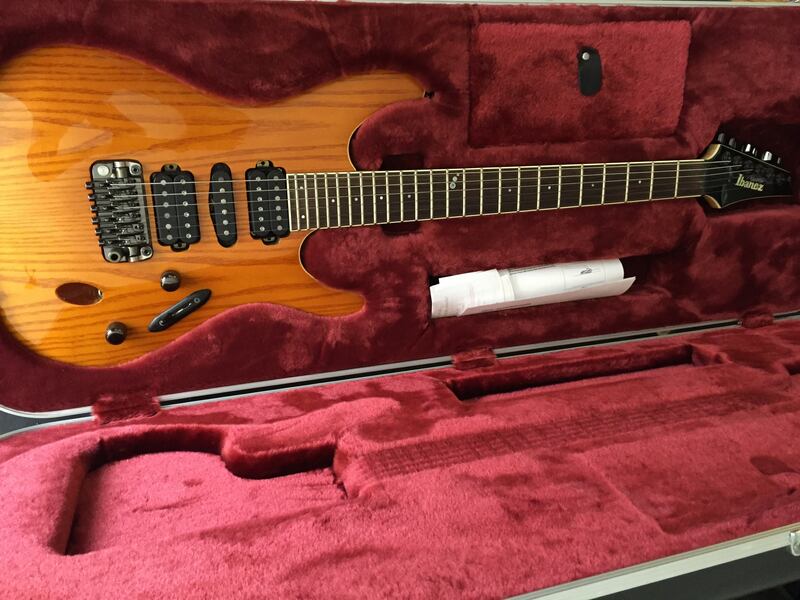 Ships in Ibanez prestige hard case.